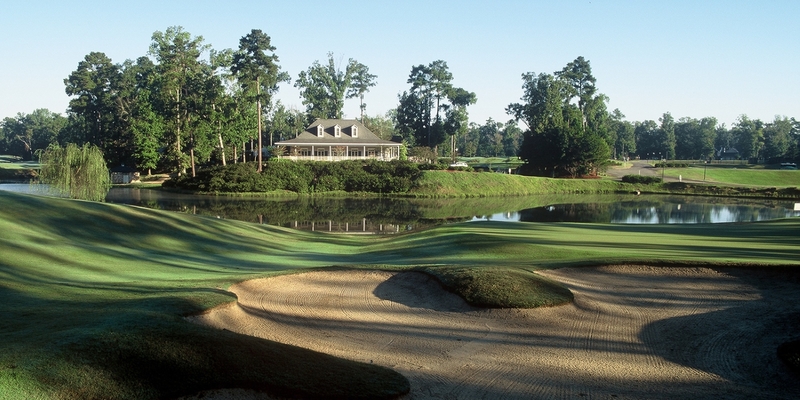 Nestled among the hardwoods and lush St. Francisville golf landscape lies Louisiana's hidden treasure, The Bluffs Country Club. The Bluffs is a master planned community near Baton Rouge that combines an Arnold Palmer Signature city golf course into an upscale residential neighborhood. The natural beauty of the land takes precedence in the St. Francisville golf community, and you'll find flowing creeks, still ponds, and rolling bluffs along the course. Arnold Palmer paid careful attention to preserving the natural environment, so you can enjoy nature's beauty for years to come. Please call 225-634-5551 for current rates. 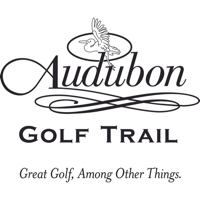 Call 225-634-5551 for rates and tee times. Contact The Bluffs on Thompson Creek at 225-634-5551 for more information and details on holding a golf outing at the course. The Chapel at The Bluffs is a nondenominational chapel for the use and enjoyment of all Bluffs members and residents. It is also the perfect setting for small intimate wedding ceremonies. Located next to The Bluffs Cottage overlooking a lake and the 9th hole of The Bluffs' golf course. The church is surrounded by a custom built white picket fence with cross detail. The chapel also has an outdoor bell tower. The hanging light fixtures were found at Circa 1857 in Baton Rouge, Louisiana and originated from an old European chapel. The stained glass windows, which reflect the design of the picket fence, were handmade by Rodney Tassistro of RTE Millworks, who also provided the craftsmanship for the chapel's main doors. The 10 inch wide heart-of-pine floors and beams were provided by Corbel's. The new chairs and 12 pews were crafted by Terry Landry, and the black walnut paneled walls originated from a preacher's barn. The Chapel at The Bluffs was dedicated in a candlelight ceremony officiated by The Reverend Charlie Landry of Our Lady of Mt. Carmel Catholic Church of St. Francisville the evening of October 23, 2006. Contact The Bluffs on Thompson Creek at 225-634-5551. Contact The Bluffs on Thompson Creek at 225-634-5551 for onsite or nearby dining options. This profile was last updated on 01/04/2017 and has been viewed 6,216 times.